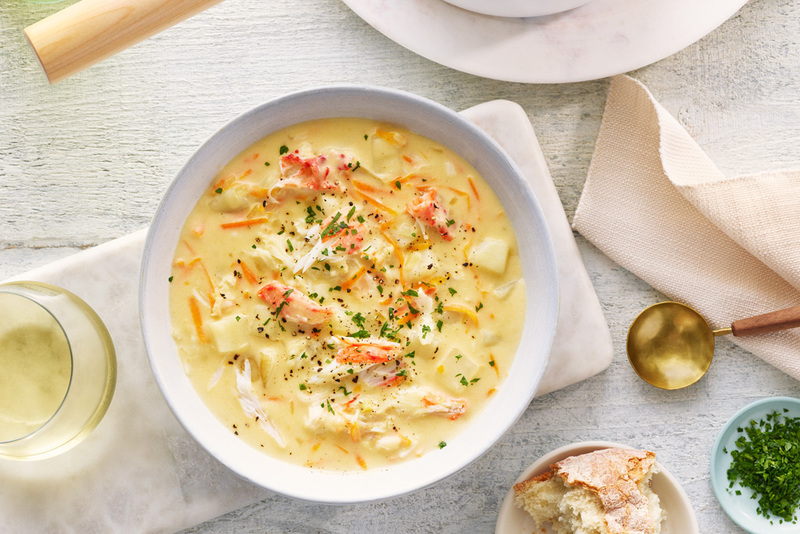 Crab can be substituted with lobster, shrimp, or clams in this delicious recipe using our Seafood Broth. Melt 2 tbsp. butter in a heavy large pot over medium heat. Add onion, potatoes and shaved carrots. Sauté until soft, about 5 minutes. Remove and put in bowl. In the large pot, add the remaining 4 tablespoons of butter. Add flour and whisk constantly over medium heat until roux becomes light brown, about 5 minutes. 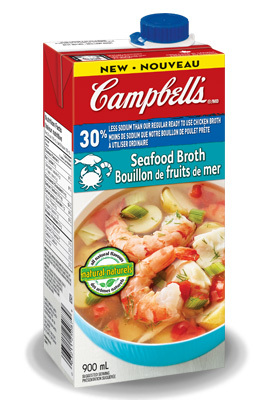 Stir in Seafood broth, whisking constantly to make sure soup stays smooth. Add sautéed onions, shaved carrots and potatoes, cover and simmer for 10 minutes. Add cream, sherry wine, lemon juice, Worcestershire sauce and crab meat (can substitute with Lobster or Shrimp) and simmer for 5 more minutes.